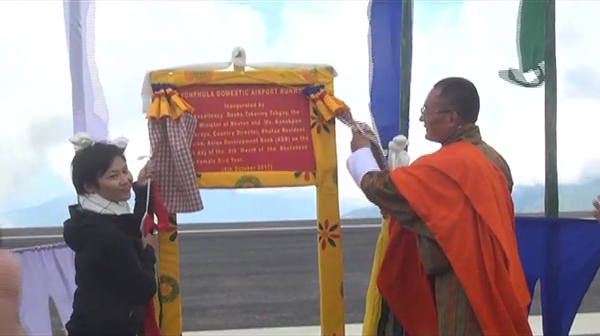 After remaining closed for over four years, the Yonphula Domestic Airport in Trashigang was formally reopened yesterday. Prime Minister Dasho Tshering Tobgay inaugurated the runway which underwent major renovation during the closure period. Prime Minister said the domestic airport will not only benefit the Kanglung Gewog but the entire eastern region to accelerate economic growth. “We are going to see further progress in all the eastern dzongkhags. I wish to thank the Asian Development Bank for providing needed assistance and grant assistance to improve, upgrade and develop this beautiful airport,” added Lyonchhen. The Information and Communications Minister DN Dhungyel said the internal airport which started its services in December, 2011 was closed in 2013 to undergo a major facelift. However, due to some technical issues, the renovation works which were supposed to be complete in October, last year had been delayed for several months. Lyonpo DN Dhungyel assured that the airport meets the international standards. “The airport is going to benefit in boosting tourism industry not only in the east but across the country. Moreover it’s going to benefit the staff and students of Yonphula centenary college,” asserted the minister. 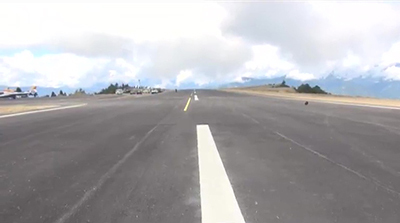 Bhutan Civil Aviation Authority has also provided a certificate to the Department of Airport that the renovated runway is up to the mark of international standards. It took over two years to complete the reshaping works of the runway which included clearing of two hills on the either side of the runway and improvising on the runway gradient percentage which was not in line with the international standard. The fund of over Nu 200 M was invested in the entire renovation project. The Asian Development Bank or ADB provided the financial assistance. With regard to resuming flight operations, the Department of Air Transport has already written to Drukair, the National Airline that it may start operating flights as and when they are ready to do so. Including Yongphula Domestic Airport, Bhutan has two other domestic airports in Bumthang and Gelegphu.